In honor of Black History Month and as we move into Women's History Month, join us for this historic and very special interview with America’s First African-American Female Transplant Surgeon, Dr. Velma P. Scantlebury. We discuss her experience as a world renown physician, her journey becoming the first African American female transplant surgeon and her new book, "Beyond Every Wall." Dr. Scantlebury will also be featured in our March 2019 edition of Emerge Woman Magazine. About: Velma P. Scantlebury, M.D. America’s First African-American Female Transplant Surgeon Dr. Scantlebury is the first African American woman transplant surgeon of the United States. She has received many honors in her career having been named to both the “Best Doctors in America” and “Top Doctors in America” lists multiple times. Scantlebury has been awarded the Woman of Spirit Award for inspiring others and the “Gift of Life Award” from the National Kidney Foundation. She has performed over 2,000 transplants and published many peer-reviewed papers. Love, Marriage & Music! An interview with Tommy and J’Mel, a dynamic husband and wife R&B duo. Join us as we talk about WHOLENESS, living from the inside out, and how to get to that place. -------- About Kaleena Oyerinde Kaleena Oyerinde is Founder and President of RenovateHer, LLC, a women’s empowerment organization who provides safe spaces for women to work on themselves. She is a passionate creative and humorist who thrives on truth and authenticity. Using her background in human services, counseling and, most recently, trauma healing, Kaleena has spent more than ten years partnering with women to build their self-worth, confidence and personal relationships. She soon integrated God-centered dating skills into her process, which, consequently, led to her own marriage after 17 years as a single mom raising three amazing kids. Now a Bonus Mom to three more, Kaleena and Jerry now live in Pine Hill, NJ with three of their six amazing children where Kaleena is finishing her B.A. from Drexel University in Behavioral Health Counseling. Contact Kaleena at www.renovatehers.com. Guest interview of Qiana Cressman, Founder and CEO of Emerge Woman Magazine on the AAU/Social Media Sunday Podcast with the Delaware Blogger. Dream Build Success Part 2 with Pastor LaShanda Gary, D.D. Join us as we discuss Kingdom wealth building, God's way. Matthew 6:33 About Pastor LaShanda Gary, D.D. ---------- LaShanda Gary is the CEO and Founder of Dream Build Success and InWorks Tax Services. When you first get a glimpse of what a single day in the life of LaShanda Gary entails, you begin to wonder if she somehow has more than 24 hours in her day. Your first encounter with this dynamic entrepreneur is guaranteed to be a whirlwind of passion, excitement and motivation bundled up into a highly-charged business woman, paving the way for the limitless success of her clients. LaShanda has a passion for her purpose. She believes that everyone should activate their gift from God. She started developing products out of her need as her family, business, and faith expanded. As a true entrepreneur, she created many of her businesses out of her personal need. The idea of having a business and brand built around God is her VISION. With her contagious energy and an impressive roster of motivational and entrepreneurial successes, Dream Build Success Founder and CEO LaShanda Gary have taken empowerment to an entirely new level by helping others turn obstacles into opportunities. A living example of success, Gary has hosted life changing empowerment sessions selling out in less than 72 hours. With books, newsletters, retail products, appearances and countless online outlets as part of her growing empire, Gary is able to inspire over 100,000 people yearly and shows no signs of slowing down. Contact LaShanda at www.lashandagary.com. The Authentic Woman (Clergy Series) with Reverend Tamieka N. Gerow, M.Div. Join us for this candid, heart-to-heart episode on how to be authentically who God created us to be, serve and function as ministerial/clergy leaders, amidst pressures to compare, compete and have a false sense of identity in ministry. Rev. Tamieka shares empowering insights to help women balance ministerial leadership responsibilities and everyday life! About Rev. Tamieka Gerow --- Rev. Tamieka Gerow was licensed to preach the gospel in August 2005 and ordained in March 2009 as the first female in the history of Tenth Memorial Baptist Church. The acceptance of God’s calling on her life has been very inspirational to all that she encounters. The desire to serve God’s people through ministry and the ability to lead are her greatest attributes. She possesses an innate ability to inspire from all walks of life; she remains committed to ministry, her Christian walk, and her education. Reverend Gerow is an itinerant preacher, conference speaker, and retreat facilitator. Her love for home keeps her actively involved in ministry throughout the city of Philadelphia and vicinity. In July 2012 she was named one of the 10 People Under 40 To Watch in Philadelphia by The Philadelphia Tribune. Most recently, she served as Chair of the Health Committee for Black Clergy of Philadelphia and Vicinity, Chair of the Ecumenical Service for the North Atlantic Regional Conference for Alpha Kappa Alpha Sorority, Inc. and the Youth Director for the Pennsylvania Eastern Keystone Baptist Association. Her husband, Pastor Keon Gerow, is founder and Senior Pastor of Catalyst Church in Philadelphia, Pennsylvania. They have two beautiful children, Kennedy Noelle and Keon Nicholas Xavier. Join us for this riveting episode as we address how to overcome the highs and lows of life, why fearlessness is not a myth and how to courageously press past fear to live the life and purpose you are created to. . . . . About Tiana Patrice ----- Tiana Patrice is a bestselling author, thought leader and empowerment speaker who holds a deep passion for supporting the personal and entrepreneurial development of women all over the world. As an award-winning international speaker and executive business strategist, Tiana specializes in equipping women to shift their mindsets, own their power, and push through their fear. She is also the Founder of Women's CEO Alliance, a full service consulting and coworking company that focuses on bettering small businesses and corporate entrepreneurs through personal and business development. Her message of empowerment has been spotlighted on The Huffington Post, ABC, CBS, NBC, Forbes and many other media outlets. She was also the most recent cover feature of Emerge Woman Magazine. As as featured guest on "Stepping Up: Become Who You Are Meant To Be with Nikki Gingrich, Qiana discusses how to move from DOUBT to DESTINY by inspiring women to their highest potential. Qiana Cressman is the founder and president of Emerge Woman Magazine whose mission is to inspire women to confidently emerge into their highest potential, express their truest-self and boldly live their destiny. Get Ready to Go From.... Dream to Do to Done! Is it time for you to play a bigger game, step into your purpose, find a career or business you love, speak in front of groups, or learn how to make your dreams come true? Carol will share some proven, practical how-to techniques to turn your vision into reality. Join us on this special Emerge Woman Magazine podcast as we have a candid and insightful interview on Sickle Cell Awareness with Mapillar Dahn, Founder & CEO of MTS Sickle Cell Foundation in Atlanta, and Georgene Glass, Founder & President of Dreamsickle Kids Foundation in Nevada. As the CEO of Twila Kaye International, LLC, Founder of the Woman Up Global Movement, International Keynote Speaker, and Host of the daily podcast-radio show Woman Up and Get Out of Your Way, she is a savvy, outspoken warrior for the personal and entrepreneurial development of women everywhere. After taking her retail brick-and-mortar business from bankruptcy to one of the nation’s largest online manufacturers and wholesalers of its kind, Twila launched her expertise into helping other online and big box retailers to leverage the power of selling online, resulting in their generating over $10 million in revenue. She now opens the door for every woman to get the training and raw-and-real reality about what it truly takes to build freedom and wealth through entrepreneurship. Andrea’s motto is… “Everything you need to accomplish your goals, to transform your life and reach your destiny is already within you. You just need to recognize it, accept it and unleash it.” Tune in as we discuss emerging into your destiny and highest potential, and removing hindrances along the way. Contact Andrea T. Martin at www.andreatmartin.com. Dr. LaShanda Gary is Founder and CEO of Dream Build Success. She's a woman of faith, owns several thriving businesses and she has authored three books. Dr. LaShanda will share effective strategies on entering entrepreneurship full-time. These practical strategies are vital to building a successful, sustainable business and making the proper exit from 9-5 employment. We officially welcome you to The Emerge Woman Podcast! A welcome from our Founder and CEO, Qiana Cressman. 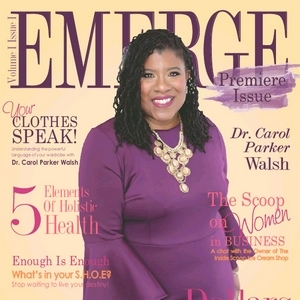 Emerge Woman Magazine 2018 Premiere Issue Launch! 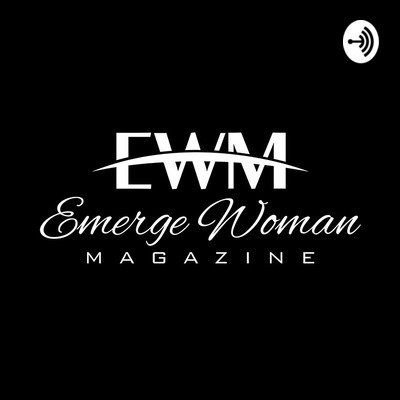 Hear from Emerge Woman Magazine's founder, Qiana Cressman and Editor-in-Chief Jacynta Brewton, about the PREMIERE issue, future happenings and details about launch of the magazine! They'll share the mission, vision and purpose of this new empowerment publication.